A one day workshop was conducted by JIMS at Staff Training Centre of Punjab & Sind Bank on 8th Jan. 2019. 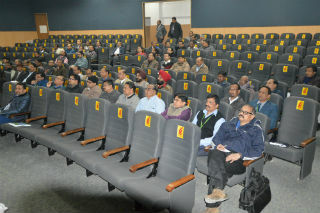 The participants were Scale 2 officers of the bank from all over the India. 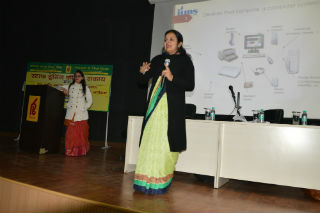 The trainers for the event were Ms.Geeta Sharma, Associate Professor, JIMS and Ms.Ankita Chopra, Assistant Professor, JIMS. 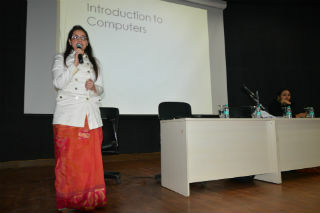 In session 1 fundamentals of computer were discussed which comprised basic components of computer (hardware & software) and their functionalities. Participants were also shown the hardware components to make them more familiar with the concepts. In session 2 problem solving of hardware and software related problems were addressed. Participants were asked the problems they encounter while working with the machine and corresponding solutions were provided. They also got familiarized with the new age digitalization that has changed the meaning of banking and services. Various services like UPI, DBT, mobile banking, NEFT, IMPS etc. were discussed. Session 3 focused on problems and threats related to cyber space. 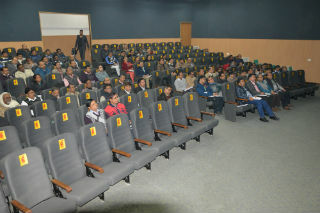 Participants were informed about different cyber players and the growth of cyber threats from the basic virus through APT. At the end a MCQ type test was conducted to assess the learnings of the participants. Overall the workshop was appreciated by the learners who found themselves enriched on computer literacy aspects at the end of the day.